Songbird v2.0.0 is now available to download for free as a VST, VST3, and Audio Unit for Windows, Mac, and Linux. This update brings a much cleaner UI with a modulation indicator, and several small performance improvements. In the last year we've made a handful of "quick tip" videos which were posted over on the Twitter account, and provided useful tips on different features of the plugins. For easier access these videos have now been made available on the product pages, with more on the way over the next few months. Carve v2.4.1 is now available to download for free as a VST, VST3, and Audio Unit for Windows, Mac, and Linux. This is just a minor update to improve performance, and address an issue where Carve may sometimes become stuck in stereo mode when used on a mono track. Carve v2.4.0 is now available to download for free as a VST, VST3, and Audio Unit for Windows, Mac, and Linux. This release brings a much nicer UI design, including new visualisations of the wave shaping algorthims which update along with parameter changes. It also includes some refinements to several of the wave shaping algorithms, and enables the tweak feature for the "Clipper" wave shape. MONSTR v1.0.3 is now available to download for free as a VST, VST3, and Audio Unit for Windows, Mac, and Linux. Much like the recent Songbird update, this is just a minor update including some performance improvements to reduce CPU load. Songbird v1.0.1 is now available to download for free as a VST, VST3, and Audio Unit for Windows, Mac, and Linux. This is just a minor update including some signficant performance improvements, you can expect a little less load on your CPU from Songbird. Things have been a little quiet here lately, but I've been working on a few new projects that'll hopefully be able to share more news about early next year. Until then, I'll continue supporting and maintaining all existing products as normal. Over the next few weeks I'll be updating Richter, Carve, and MONSTR, to resolve a few minor issues, including a issue which can cause the graphics to display incorrectly if multiple instances of a plugin are open simultaneously. I'm also working on a few new products which I expect will be ready in a few months time. In the meantime expect the usual updates to existing plugins for maintainance, new features, and other tweaks. Songbird is a modulated vowel/formant filter. Select two vowels and then modulate between them using either the manual slider or the LFO. Songbird is ideal for creating both vocal bass sounds and subtle filter sweeps. The free download is available for Windows, Mac, and Linux, as a VST or AudioUnit. Carve v2.3.0 is now available to download for free as a VST, VST3, and Audio Unit for Windows, Mac, and Linux. This update brings significant behind the scenes changes, an 'Off' mode to mute each distortion unit independently, and slightly revised graphics. MONSTR v1.0.1 is now available as a free download for Windows, Mac OS X and Linux. This version removes several issues with the graphics and improves the graphics performance on some hosts. Carve v2.2.0 is now available to download for free as a VST, VST3, and Audio Unit for Windows, Mac OS X and Linux. This update brings refinements to several of the waveshaping algorithms and filtering to reduce noise. While MONSTR was released around two weeks ago with VST and Linux support, Richter and Carve have now been updated to match. This brings the total number of platforms supported by these plugins up to 8. Version 1.0 of MONSTR is finally ready, and it's now available as a free download for Windows, Mac and Linux as a VST, VST3, and Audio Unit. MONSTR is a multiband stereo imaging plugin, which allows the user to control the stereo width of a sound in 3 different frequency bands. It can be used to perform common tasks such as narrowing the bass frequencies while adding width to the highs, allowing fine control over the stereo image of your mix. I know it looks like there's been little activity on the site for the last month or two, but I promise I've been busy working, adding support for new platforms and working on the most complex plugin I've attempted so far. VST2 Support for all Plugins - MONSTR will be released with VST2 and VST3 support, and both Richter and Carve will be updated with VST2 support and several minor improvements. Linux VST Support for all Plugins - I'd hoped to have this done a long time ago, but it's finally here. 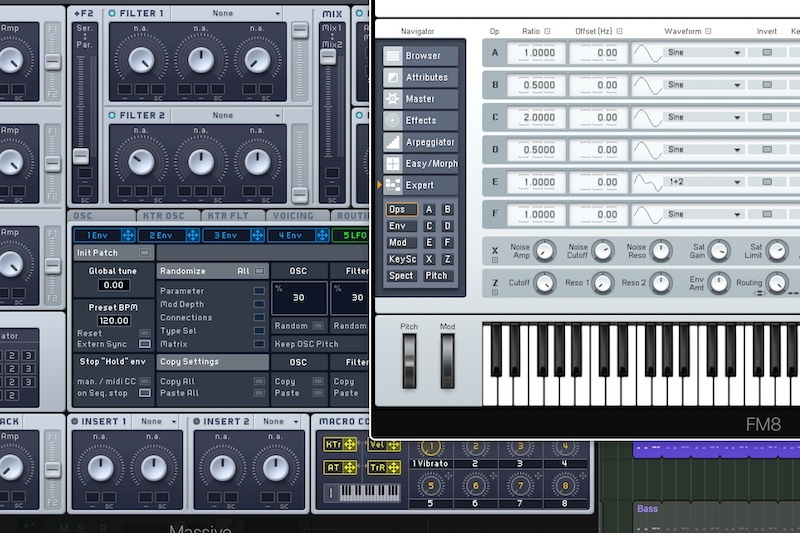 Richter, Carve, and MONSTR will support VST2 and on Linux. This brings the range of supported platforms to: 32 and 64 bit VST2 and VST3 on Windows, 32 and 64 bit VST2 on Linux, and 64 bit VST2, VST3, and AudioUnit2 on Mac OS X. A diverse collection of presets taking influences from synthwave, chillwave, synthpop, and similar genres. This pack includes dark pads, analogue arps, bright/airy leads and more. Your browser does not appear to support HTML5 audio.